We want to talk to you today about the effects these energies are having on you emotionally and physically. Many of you feel as if their is no reprieve from the wave upon wave of energies that are coming in. Your bodies are doing the best they can to cope with the energies and many of you are experiencing side effects that are impacting your daily life. 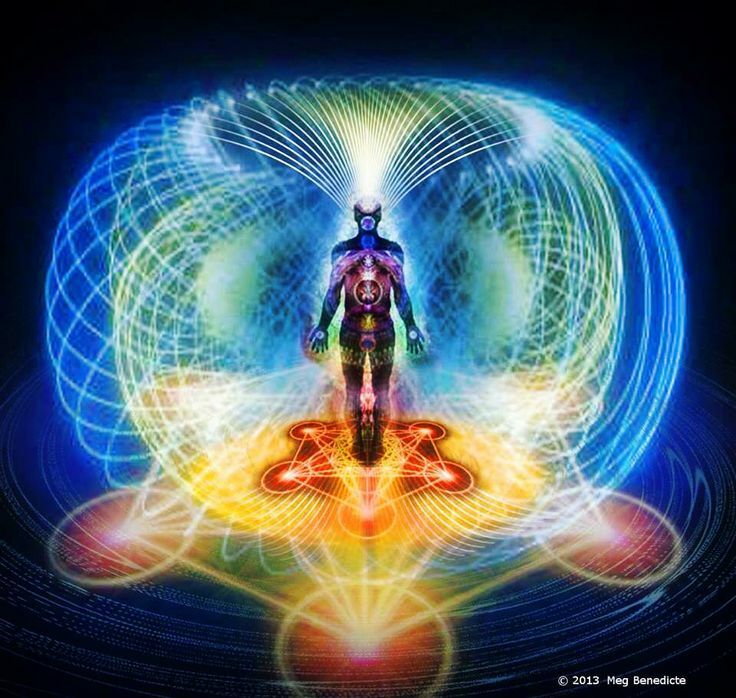 Understand that we are in a pivotal time, for some the energies are pushing those ready to connect to the unity grid, also known as the Christ consciousnesses in the 5th dimension. This is done by the clearing of your vehicle of density so that it can hold more light. For those of you who have already connected the energies are preparing you for your next role, which is to help strengthen the pathway for others to follow. It is those of the first wave, who followed the paths laid and anchored by the pioneers, that are now strengthening the connection and pathways for those of the second wave to follow with greater ease. This was the role that you agreed to play before this incarnation. Ascension from the 3D is individual but yet it is also collective. In order to assist those coming you had to individually clear the density within so that you could accommodate the energies of your next task, which is to hold the energies that guide others. As you move into your next task of assisting others by strengthening the energetic pathways, you will find that your chakras will strengthen and enlarge, as they do you will continue to remove density from your form which allows them to grow and activate your entire energy field. Some of you will experience increased heart palpitations and tightening of the chest. As your heart chakra expands you may also feel pressure in your upper back. You may also experience pain in your temples and cranium as your third eye and crown expand so that you may easily process the light codes that are moving through you. It is essential that you understand the all that is taking place is for your highest good and that nothing is being done to you nor are you under attack. We recommend that you breathe through the energies and command your body to allow the changes and integration. As the body experiences these changes, anxiety is common. The mind will look for reasons why your body feels anxious and you can then fall subject to worries and fears in regards to this process. We ask that you allow for distraction to lead your way. Create a soothing routine when the energies come that are making you uncomfortable. Your electronic devices can disrupt the flow of energies and codes streaming forth and prolong the process. Spending time outside and in water will help to speed up the downloading of information and the internal processing. At times, you may be guided to sleep, this is particularly important during a large download of information. You may also feel guided to eat things that are outside your normal diet. Understand that those cravings should be honored as your body is needing a particular ingredient in the food you are craving. What one must not do is set such strict limits upon yourself so that you feel guilt or shame when deviating from the diet you have created within your belief system. Never before has the human body been taxed as it is in these moments. It is particularly important that one stays grounded not only to the earth but within the body as well. Many of you are naturally not fully in the body, but this disrupts the flow of information. Walking upon your earth in bare feet can be very beneficial at this time. However, understand that the most important tool you have for this time is joy and laughter. Seek what makes you happy and to laugh. A person that is happy and joyful is naturally aligned with source and this creates a pure channel for the information to flow. As you are being prepared for this role you may find that your physical location changes as each of you have agreed to assist from a particular geographic location. For some this will come as a natural urging to pick up your roots and go to some place new. For others this may appear forced as relationships, jobs, even health dictate a change. Not all will need to change their physical location as they are positioned perfectly. Understand that there is nothing that you need to do to fulfill this role, except to continue to clear your form of all that no longer serves you. It is through your higher vibrating being that the codes will naturally be transmitted to all those around you. As you continue on your upward journey through the dimensions you will be able to handle the codes easier and with greater efficiency. As with any task, the more you relax and don’t fret the easier it will be, the more natural it will become and the more you can incorporate it into your daily life with little disruption. The next 3 months are very important and many of you will look back at awe at the changes you have made in your being, your thoughts, and your actions. Understand the channel in which the downloads come through your body is also the same path that connects you to your highest self, your intuition, and the deepest remember of who you truly are. Approaching the changes with child like wonder and excitement will help you to integrate all into your being. Me: A few days ago I felt as if a wave of energy hit that was very heavy, it brought up anger in me, which I was able to then see where anger was just a deflection for the true feeling of sadness and grief. Sanat: Yes, much is being released from the collective consciousness. When these energies are released they then find a home within a person who has within them the vibrational match. These are not to harm you, but they are intended to intensify what is already within so that it may be easily seen and healed. How can you see what needs to be addressed if it is not apparent. These energies exacerbate what is within you so that you may release it from your form. Me: I have had some intense food cravings. I am for the most part vegetarian and I have been craving chicken Parmesan, burgers, and beer. None of which are good for me. What’s interesting is that I did allow myself the beer, which normally bloats me, and it tasted incredible and didn’t make me feel bad. The next night I had another beer and this time it didn’t taste as good and did bloat me. Sanat: You see it is important to listen to your body in every moment. Your body needed the hops in the beer, but only in small amounts. When it tasted good, you were fulfilling a requirement, but that does not mean it is needed more than in that moment. Let your body be the guide. Me: I assumed my cravings for meat were a need for protein so I made sure that I consumed more vegetarian protein. Sanat: That is an option, but understand that if you continue to have a craving of a particular food even if you feel you have satisfied the requirement in a different form, that the need was not met. Understand? Me: So if I up my protein, but still crave chicken Parmesan than I am still missing a key ingredient. Sanat: Precisely. This is also a question of how much you allow your beliefs, rules and judgments that you have set for your life control you rather than accepting and working within the flow. Me: In the individual reading I do with peoples spirit guides I am seeing so many have moved into the 5D and hooked to the unity grid recently. It is very exciting and encouraging. Yet, there is a belief that once reaching this incredible point that the work is done. From what I am seeing, it is just beginning. Sanat: In many ways it does get easier, but yes it is also just the beginning. The 5D energies are not able to fully support complete integration with your soul source, so those desiring this connection must continue on. Me: Will some choose to stay in the 5D energies and not move on? Sanat: Yes, some will and it was decided upon prior to their current incarnation. Reblogged this on Finding Mastery by Barbara Lockhart. AWESOME INFORMATION, THANK YOU JENNY, SANAT, AND EACH ONE INVOLVED. I LOVE YOU ALL BEAUTIFUL LIGHT BEINGS. Thank you! That means so much! I get so much out of doing this work. It soothes my soul. 3 weeks a age i was at event i closed my eyes and i saw something similar. i saw myself in the pentagram the middle and each point had a person we was all praying the pentagram was white. I am so glad that it resonates with you! It is a wonderful and exciting journey! It’s possible that you were seeing the gird that connect us. When we receive visions they often go through our internal filters so that we can relate to them. So while you saw this, others might see a grid like graph paper where each person is at an intersection. does that make sense? Aw thank you! It is much appreciated! I’m psychotherapist and almost one year I turn in vegetarian. The experience that I’m living it has the most limited of my entire life that compromises my entire belief systems and touch a lot of my personal and transpersonal memories. Actually I’m transiting that experience but with more symptoms. Beginning three moths ago after the spring equinox, but one month ago, the sensations was very hard, I thought I would die or become insane. I thought if did wrong some qigong exercise or I was intoxicated. At the beginning I felt pain on determinated points that correspond with the meridians of the governor’s vessel, and I felt a strong pain in the point of the crow for two moths. I cannot sleep more that 4 hours (unusually) and for short periods of time I can enter on trance with a lot of peace, and my energy flowing well. But one night I was meditating and I can really sense a pleasure sensation on my sacral bone and feel a huge energy rise in my spinal cord, when reach the crow was jammed there. Was a terrorific experience, I thought that I wouldn’t survive, because was a lot of energy, and my body couldn’t resist and my hearth felt very weak. My body shakes involuntary violent, and I cannot stop. Until two hours I can relax a little bit and felt a lot of energy on my kidneys and my back. strong energy on my head, involuntary body movements (shake), insomnia, rapid and strong hearth beat, digestion problems (constipation), unbalanced body temperature, and episodes of imaginary sounds and visualizations with a ugly and terrorific content. This sensations happens any time in anywhere. I really though that I was becoming insane or psychotic. I went to do blood studies and electrocardiogram and everything was more that normal, was perfect. But when the energy rises was very unpleasant and last for many hours. I spent some nights crying, screamed, confused. When I can sleep I had a lot of lucid dreaming and a lot of inedit dreams. Until I embrace this sensations, and feel the energy can complete the microrbit to return to the navel, I start to understand. I feel this energy is clearing my body and energy. When I focused on meditation or sing a power songs the sensations becomes more strong and starts to act. I feel how is advancing clearing. Before to let the energy do whatsoever have to do, I felt electricity in my navel, but was a lot that I though that any minor unbalance this will become out of control and be dangerous. In these last days two times I have the peaks, but now I surrender and starts to transform in a pleasure and enlightenment experience. I don’t know what’s coming now. Of course some times I felt fear but now I’m with more confidence in the Great Spirit. I imagine with your psychology back ground that you experienced a lot of fear. Some of what you are describing reminds me of the kundalini rising, which is pretty intense. When the visions get fearful remind yourself and them that you know that outside of the duality of earth that they are light beings full of love, that they are just playing a role here and that you love them. I found it changed things drastically. Surrendering to the process and understanding that it is all in your highest good is how I maintained my sanity. This is not an easy process and I send you much love. The information read here incredibly informative and helpful. Thank you so very much. I am glad that it resonates with you! Helps know that others persons have transited this process. Jenny, Thank you, especially about the food cravings guidance. I have felt a bit stuck with the healthy eating because some days I have so wanted sugar especially if I have felt extra tiredness come upon me. I’ve slept more, but sometimes due to needing to work, I have to ask my Spirit team to give me the strength. Currently I feel very needed where I am. I live by a University filled with intelligent, highly stressed young adults. My calm energy brings balance to the students around me. All I have to do is walk downtown, or work at the library. I was once one of those students, so understand them well. It is in Michigan, and I am enjoying the greenness from all the rain this year. I, however, dreamed that I am needed in California to bring rain there. My role in Michigan is not yet done, but for some reason my awakening activated my ability to attract rain. My ability is not appreciated in a state that already had enough rain, but I think in California, it will be balanced by the drought. I do not always experience heavy side effects from the waves. It is due to the fact that I had a sleep disorder for many years. I spent over 2 years sleeping over 16 hours a day, slowly it improved to 14 hours, and then 12. Now I sleep about 10 hours. I think I got a head start on the process, but it was just to spread it out further. I still have growing to do. Instead of getting worse at this time, I am doing much better then before. I still will get waves of tiredness. Days where it seems like I am back to sleeping over 16 hours. I have been craving eel like crazy. Sometimes I eat grass fed hamburgers, and wanted them for a bit… yet now it is back to eel and avocado. Plus good olives and olive oil. This is contrasted with lots of pasta because it is cheap. I am currently at a low in finances, but my guides give the feeling that soon it will be a high. The current low is to emphasize the contrast once my ship comes in. So the joy will be more joyful.